My backyard is plain and boring. I have 1 pecan tree and grass. Since I have a Black Thumb I don’t do much in the way of landscaping. Charlie and some friends *ahem* “painted” a portion of my backyard fence a few summers ago. In April I added a whisky barrel with lantana in the corner. I have succulents in hanging pots too. All of these I can see from my home office window. It makes me happy! 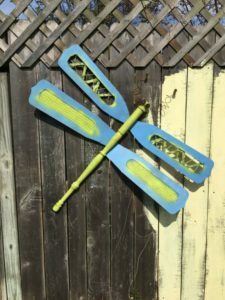 I saved this Dragonfly Yard Art on Pinterest ages ago. I collected all the parts over time and finally finished one! I hung it up on my fence during Thanksgiving week. I love it! I have the makings for 3-4 more dragonflies and plan on making them during winter break. 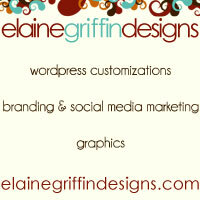 You can see detailed instructions and ideas at Lucy Designs Online. Now that is what I call a Pinterest success!